Imagine a modern politician of any stripe saying something like that today. Watch this speech from Reagan and try to imagine, without laughing, a modern Republican saying similar things about the American Left today. Most people reading this understand that the National Review of today is not the National Review of yesterday. In the 90’s Buckley started to lose his marbles and then gave way to a new group of editors who think homosexual marriage is a sacrament and citizenship is a vice. That said, the GOP is no longer the party of National Review. It is the party of The Weekly Standard. In the last quarter century, the Republicans have held the White House once and members of The Weekly Standard held key jobs in that administration. No man is more important to the Republican Party today than Bill Kristol, who was a Bush consigliere. He has selected their last two nominees and their running mates. Long before the 2008 election, he “predicted” McCain would beat Romney and the others and then he “predicted” McCain would take an unknown governor from Alaska as his running mate. The next cycle he “predicted” that Romney would win and select Paul Ryan as his second. Kristol is really good at “predicting” these things. But, the truth is the modern GOP is the party of The Weekly Standard. There you find the technocratic authoritarianism that embraces the universal state, but with a alpha male veneer as opposed to the feminine version offered up by American Progressives. Neo-conservatives want the state, for example, to encourage family formation so women can have babies. Progressives discourage family formations so women can have abortions. Same gun, different target. That’s why it is a good idea to pay attention to Bill Kristol when he starts talking about Republican politics. Back in the summer he somewhat jokingly said he would start a third party if Trump win the nomination. Now he is quite serious about it and he is letting us know who he will select as the party’s nominee. The Weekly Standard editor Bill Kristol predicted Thursday that Florida Sen. Marco Rubio and Carly Fiorina will eventually lead the Republican ticket, and that Donald Trump would fade. After MSNBC’s panelists prodded him into acknowledging Trump has a chance of winning the nomination, Kristol indicated it might be time for him to leave the GOP if Trump becomes its standard-bearer. “If all the other candidates remain as pathetic as they’ve been so far, I suppose it’s conceivable he’ll [Trump] be the nominee and then we’ll have to support a third party,” Kristol said. There you have it. It will be war or it will be Rubio- Farina. I think given the way men are now portrayed in modern America, the proper ticket here will be Farina – Rubio, but Ben Carson will be taking over the important running mate duties, while Rubio watches from the side, maybe filming it for the campaign website. All joking aside, Kristol could be whistling past the graveyard, but he is the man behind the GOP curtain. He was not right all those times before because he is a good guesser. He was right because his iPhone has the contact information of every major donor, campaign staffer and fund raiser in the country on it. He is the most connected man in America or at least one of them. 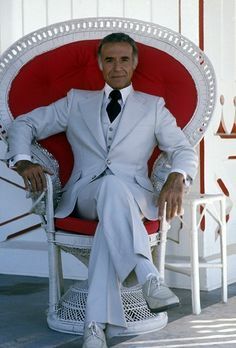 The problem, of course, is that the formula The Weekly Standard prefers works great if you are Mr. Roarke and your resort offers realistic fantasies about being a successful politician. In the real world, there’s little appetite for invade the world-invite the world polices. Rubio- Farina might play well on the cocktail circuit in Georgetown, but they will get destroyed by Clinton in the general election. But, maybe that’s what it will take. The years from 1964 through 1976 saw Progressives running wild while normal people figured out what was happening and then fashioning a party to represent them. Perhaps the site of Clinton auctioning off national monuments for cash to the Clinton Foundation will finally focus the minds of people who really should know better. Excellent analysis. I was originally a strong Cruz supporter and he is the most excellent conservative politician in America but I doubt that he can win as the electorate is currently constituted (i e much more heterogeneous than Reagan years). On the other-hand, Trump strikes me as the right man with the right attributes at the right time. In my gut I feel that he can win in a landslide no matter what the RINO establishment thinks or does. I love your analysis of our current situation, you have insight in how the things really work, the best networked person is the real boss. It’s not the rats, it’s the fleas. Kristol is irrelevant, he just doesn’t know it yet. Trump, without even trying, has tapped into the zeitgeist of the disaffected majority of the Republican party. There is nothing the Establishment can do about this. Buckaroo Banzai, I enjoyed your comments on Reagan. I’ve always thought that in many ways his intellect and conservative ideals, his sheer love for America were under-appreciated. The Left thought they could destroy him, but the average person wasn’t buying their spin. We could really use a Reagan right about now. If a “respectable” candidate like Kasich or Christie would start using some of Trump’s arguments, he’d see his numbers shoot up.